I usually don't post that many outfit photos in one post but I love this skirt too much. It is probably the most fancy clothing piece I've sewn yet. I paired it with a sweater to dress the skirt down...and for comfort. 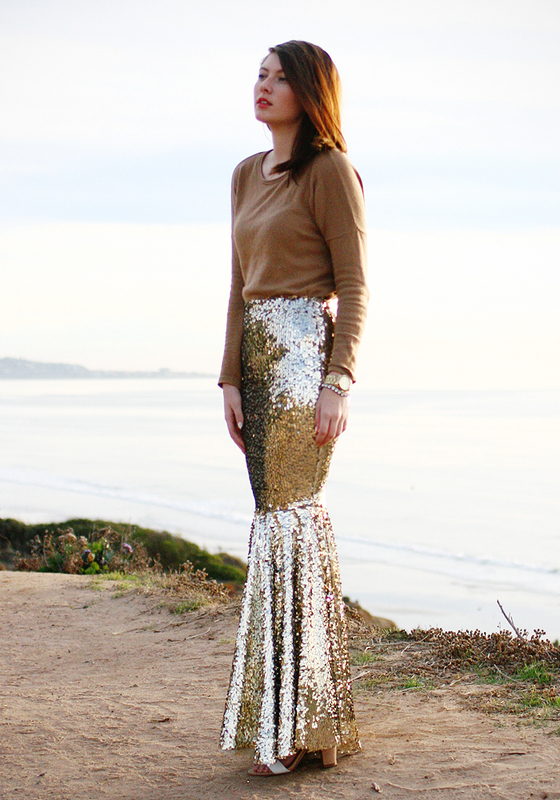 After finishing this post I'm going to begin writing the DIY tutorial for this skirt so stay tuned! Should be up tomorrow! 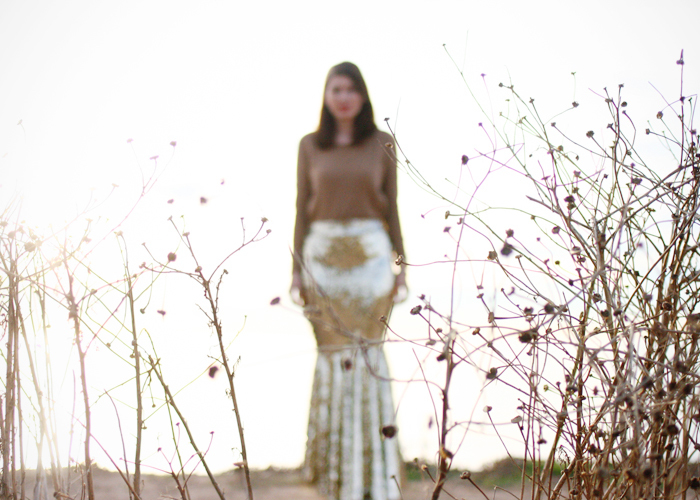 This is such a gorgeous skirt, I absolutely love it, such a great work dear! You look absolutely stunning. 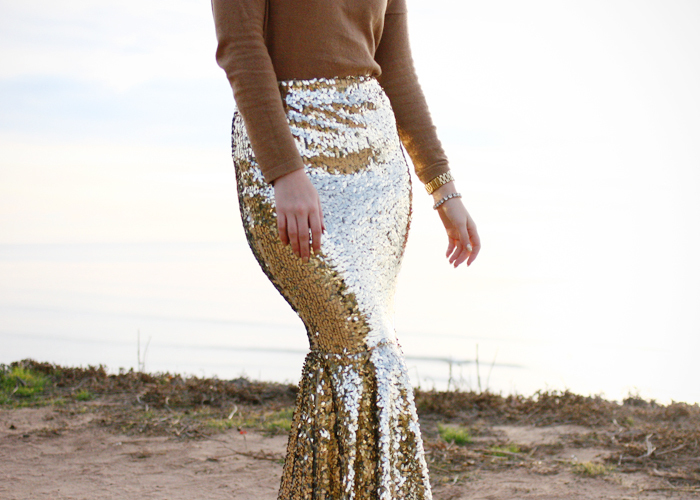 Love how you dressed the skirt down by pairing it with a sweater! Can't wait for the tutorial! Such an interesting skirt. I don't think that I could ever pull it off but you did it so well! Love this. I will share on my fb page linking back to you.